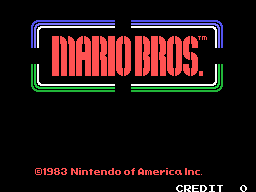 Mario Bros. features two plumbers, Mario and Luigi, having to investigate the sewers of New York after strange creatures have been appearing down there. 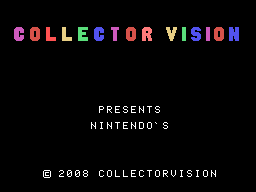 The objective of the game is to defeat all of the enemies in each phase. 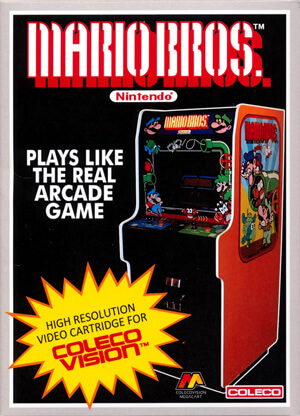 The mechanics of Mario Bros. involve only running and jumping. Unlike future Mario games, players cannot jump on enemies and squash them, unless they were already turned on their back. 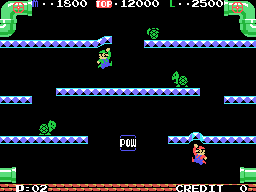 Each phase is a series of platforms with pipes at each corner of the screen, along with an object called a "POW" block in the center. Both sides of every phase feature a mechanism that allows the player to go off-screen to the left and appear on the right and vice versa.